The Creative Needlework Club of Las Campanas and Kitchenality of Kitchen Angels Join Together for a Holiday Sale! 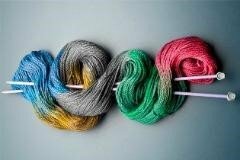 The Creative Needlework Club will be at Kitchenality selling handmade items including scarves, hats, gloves, sweaters, and baby clothes. All proceeds will be donated to Kitchen Angels. Kitchenality is hosting the Holiday Sale Nov. 23 – 30, 10:00 a.m. – 5:00 p.m., Friday-Saturday, and Tuesday-Friday. Shop for all your holiday gifts from dishes and platters, pots and pans, to stemware and fun kitchen gadgets. 50% off selected items! Hot cider and cookies will be served. 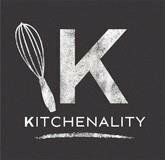 Kitchenality, 1222 Siler Rd. Santa Fe.